As the deadline for VIP-registrations fast approaches, MAST Asia is already gearing up to host its highest ever number of hosted VIPs/buyers from Asia-Pacific, European and American countries. 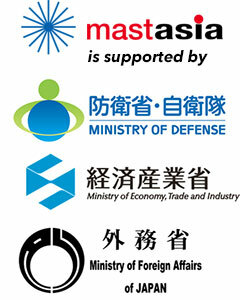 A fully integrated programme of VIP events is scheduled in harmony with MAST Asia week, and with several VIPs also attending the ATLA (Acquisition Logistics and Technology Agency) Japan:ASEAN summit (one day after MAST), you will have all week to meet the region’s decision-makers. This week, MAST Asia exhibitors will receive the names of all confirmed VIPs to select those they most want to meet during MAST Asia.